At the end of every year, various business websites gather up what they consider to be the best ad campaigns of that year. They do this in an effort to analyze what made them special. In doing so, they can provide readers with tips on how to better market their own products. As a marketing manager, you should be looking to these ads as a source of inspiration, just as you would with press kit examples. They should also serve as lessons in marketing. Take a look some of the ads below and think about how you can utilize their techniques in your projects. Here are some of the best advertising campaigns of 2015. Coca-Cola recently revamped their marketing strategy to include all of their soda variants into one advertising campaign. This was done to increase awareness of their alternative colas like Diet Coke and Coke Zero. It was also done to emphasize the idea that there is a soda designed to fit every person’s preference. The campaign had an immediate impact. Sales for Coke’s sugarless variants rose by 1.5% in just the first two weeks. Pepsi’s sales subsequently dropped nearly 8%. The strategy to take away from this campaign is the way Coke marketed its lesser known sodas. It did so by combining them with their primary product. If you have a less popular variant of your flagship product, it might help to place them in the same ad campaign. This will increase visibility and improve overall sales. Coca-Cola’s recent combination ad is one of the best advertising campaigns of 2016. Kit-Kat’s sales had been on the decline leading up to 2015. In order to counteract this, they started an ad campaign called “celebrate the break”. It started with the biggest wrapper redesign the brand had seen since its inception. Then, Kit-Kat nearly doubled its usual marketing spending to launch an ad campaign that worked in collaboration with J. Walter Thompson. The campaign focused on highlighting the different ways in which consumers spent their breaks. They also encouraged customers to “YouTube their breaks”. Ultimately, this guerilla marketing campaign led to a 3.9% increase in sales. These ads were so successful because they encouraged customer participation. They were also able to grab attention by bringing a completely new look to their product. Incorporating these strategies to your marketing efforts may bring similar results. If you hope to create some of the best advertising of 2016, refer to Kit-Kat’s inclusive campaign for similar success. Apple Music advertising has always been pretty good. But with their latest Apple Music ad, they blew the competition out of the water. The Taylor vs. Treadmill ad featured, arguably, the most famous singer in the world, Taylor Swift. In the commercial, she sings another pop singer’s hit song and then suffers a hilarious treadmill fail, landing flat on her face. This advertisement was certainly one of the best ever, as it got people to laugh time and time again. This leads to people associating happy, fun memories and pop superstars with the Apple Music brand, which is never a bad thing for sales. If you want to make use of similar tactics, try making your next advertising campaign funny and entertaining in a way that the customer remembers. You are sure to get a great response. In 2015, UNICEF started a campaign called the “tap project”. It was designed with the purpose of raising money for children in need of drinking water in impoverished nations. Their method of acquiring money was simple. The company requested an additional dollar on every participating restaurant bill. As simple as it sounds, it was massively successful. By year’s end, UNICEF had raised over $2.5 million in donations. The key was to ask for donations in a situation where people were used to spending money, like a food business. Adding $1 to an already inflated food bill turned out to be an effective method. With this in mind, it might help to consider similar methods. Try to catch consumers in situations where they feel like they are not giving much of their time or money. This strategy has the potential for enormous profits in the long run. That is why UNICEF had some of the best advertising of 2015. This ad campaign was spurred by the UK’s enthusiasm about an upcoming solar eclipse. This eclipse was the first to ocur in 16 years. People all over the country were set to see it. Oreo jumped at this opportunity. The company created Oreo eclipses on newspapers and billboards across the UK. This proved to be an effective strategy. Reports state that the Oreo eclipse was seen by at least 20 million people. Sales also rose by 35% that month. Their campaign was effective because it made use of a widely anticipated event. As a marketing manager, you may also want to consider coinciding your advertisements with a popular event. You will gain immediate attention this way. 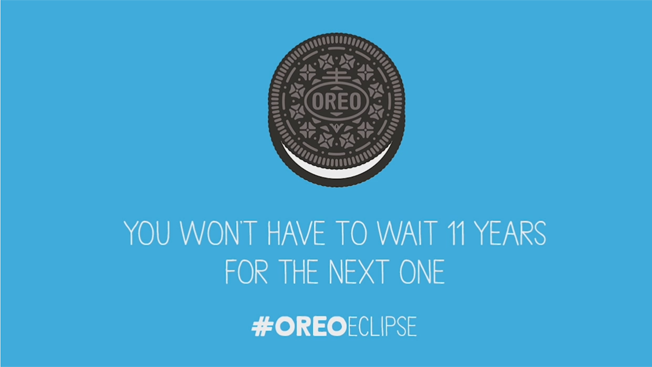 Oreo’s innovative use of a current event helped the company secure the title of best advertising of 2015. The ad campaigns in this post used contrasting methods to garner attention and raise awareness for their products, including neuromarketing and other practices. Coca-Cola chose to group all of their products into one advertisement in order to give them equal visibility. UNICEF, on the other hand, made crafty use of human nature to succeed in their campaign. As a marketing manager, you can use these ads to influence your own marketing strategies. Examine their techniques carefully and you will be able to make more effective ad campaigns. Maybe next year your campaign will make the list of the best advertising of 2016!